We sell the newest fasion trend! Be one of the first to start a new style! There are more than 100 different type of animal print heels to match any stylish outfit! 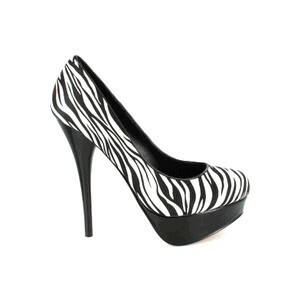 These zebras heels can come in all colors and sizes! These giraffe heels are just for a limited time! Come get them while they are available! These tiger heels are very uniqe and fashionable. They come in sizes 3-12! There is some for everyone! Come to our new store in two new locations! We have shoes in all sizes, there is deffinetly a pair of shoes for everyone! Animal heels are the latest fashion statement! Dont be the only one without it! These shoes go perfect with ANY outfit, dress, or just to walk around looking cute. You will not regret buying these perfect shoes.